We know growers need options for liquid and dry fertilizer. That’s why our spectrum of products provides a variety of ways to meet these requirements at the time of planting. 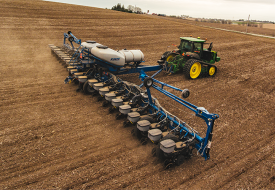 Both in bulk fill and row unit hopper options based on the planter model and row configurations. Our bulk fill liquid fertilizer tanks range from 300 to 600 gallon capacity depending on the model, and similarly for row unit liquid fertilizer. 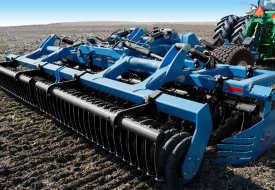 Dry row unit fertilizer capacity ranges from 1,100 pounds up to 4,400 pounds. Don’t want the onboard fertilizer options? No problem. 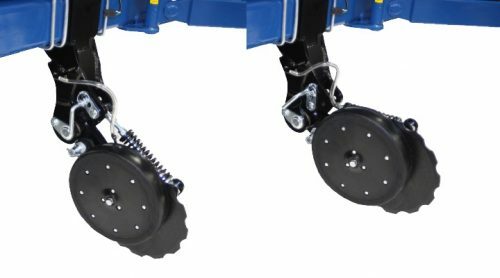 An optional rear trailer hitch for liquid fertilizer is available to tow liquid fertilizer with three or four wheel trailers behind the 3500, 3600, 3660 and 4900 planter models. Note: the tow-behind option is not compatible with squeeze pump options. Accurate placement of your seed and fertilizer is key. To your yield. To your bottom line. Disc openers help guide this placement. 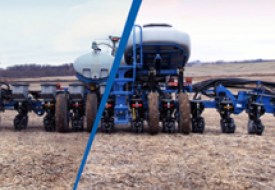 Kinze has options that improve accuracy on smooth, conventional-tilled soil and rocky or high residue no-till conditions. For conventional tillage. 15" offset "V" blades. 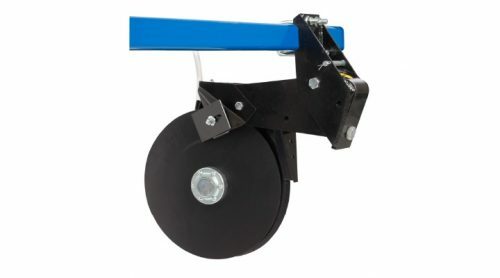 Inner and outer scrapers, adjustable coil down force spring and welded shank with lockup, drop tubes and mounting hardware. Notched 16 3/4" blade for no-till. Adjustable blade depth. 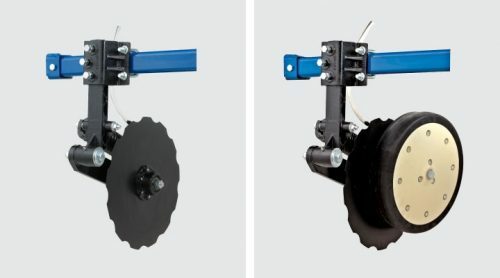 Cast iron hub with horizontally-mounted coil down force spring. 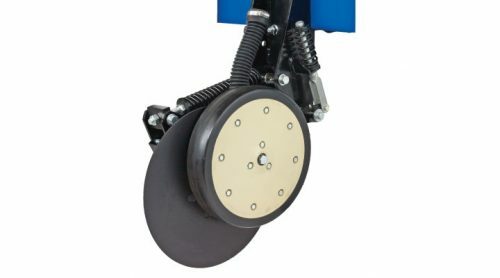 Available* with depth/gauge wheel attachment or single residue wheel attachment. Quick, simple, easy adjustments for precision down force and depth control. No tools required. Superior access. Quick, lockup design is easy to disengage when not in use. 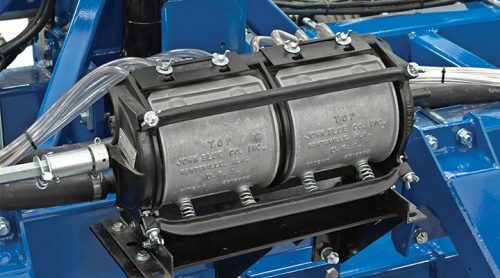 John Blue® piston pump option with John Blue® flow dividers include optional low rate liquid fertilizer check valve packages to improve row-to-row consistency at very low rates. This option includes pump mounting bracket, sprockets, drive components and flow divider. 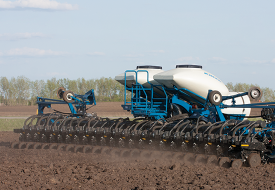 Available for the 3000, 3200, 3500, 3600, 3660, 3700 24R 20”/22 and 4900 planter models. The optional low-rate liquid fertilizer check valve packages improve row-to-row consistency at very low rates. Not compatible with rear trailer hitch options. Available for the 3000, 3500 and 3600 planter models. 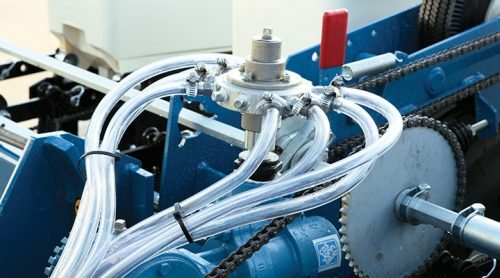 A hydraulically driven centrifugal pump option is also available for the 4900 model to allow section shut-off and variable rate capability. 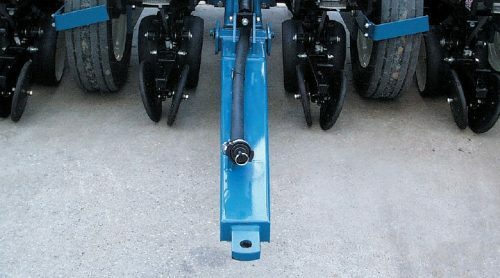 A row-unit-mounted fertilizer drop tube provides flexibility for low rate in-furrow fertilizer application. 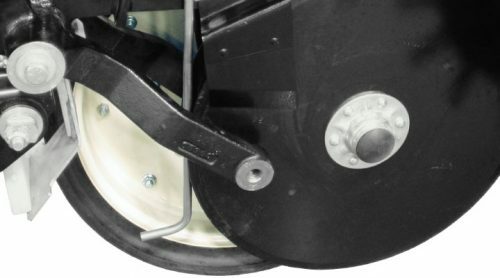 The drop tube mounts to existing holes in the row unit and applies fertilizer behind the seed tube on top of the seed to maximize fertilizer application effectiveness. 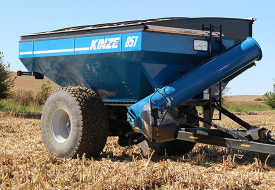 For more details or to customize the fertilizer options for your Kinze planter, contact your local Kinze dealer. John Blue is the property of its owner. There is no affiliation between Kinze and John Blue.